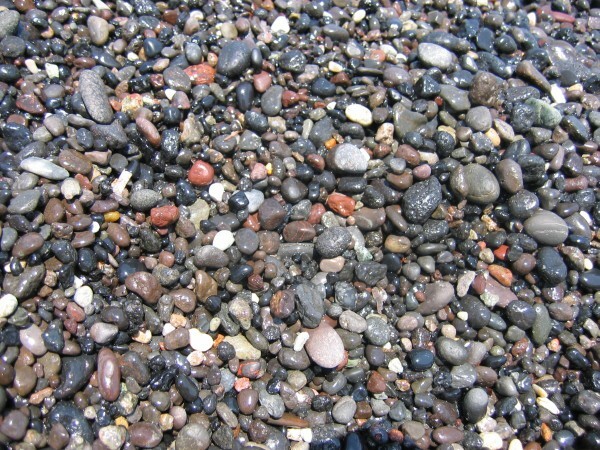 The rock massif that interrupts Santorini’s eastern coast is about two millions years old. 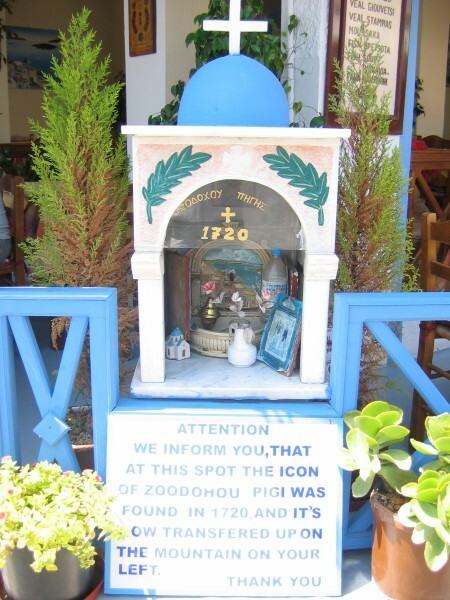 This rock – its hightest peak is Profitis Ilias – is Santorini’s oldest part, and it is not of volcanic origin. 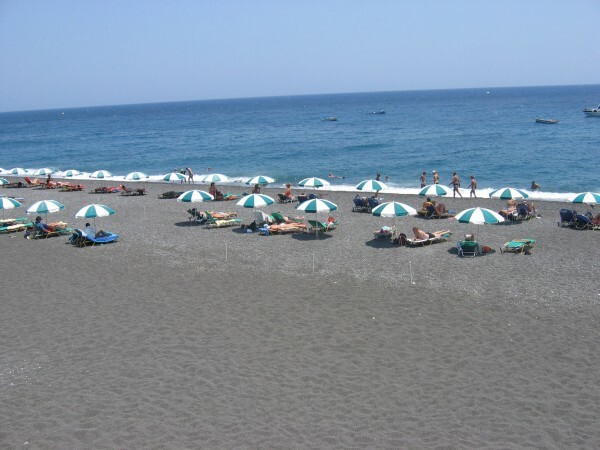 At the long black sand beach, it separates the villages Kamari and Perissa. Both of them are ideal for a holiday at the seaside and have established themselves as small touristic centres, attracting especially families with children and aquatic athletes. 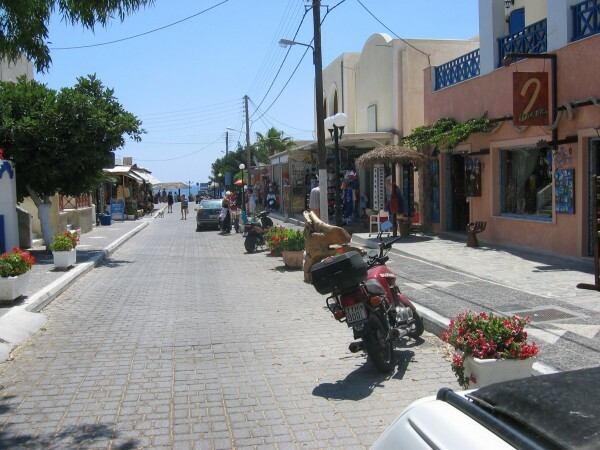 Hotels, tavernas, bars and souvenir shops line Kamari’s main street, passing by just behind the beach. The culinary offer includes mezedes, fish dishes, pizza and spaghetti and is basically oriented to the visitors’ taste. All types of aquatics are offered in Kamari, from rental boats up to water ski and sailboarding. A diving school offers diving and snorkel courses, but also wreck and cave diving. 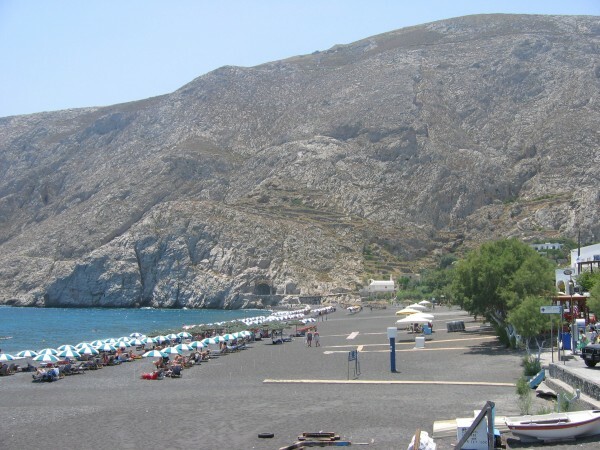 Amoudi and Armeni Beach, at Santorini’s inner side, are the daily destinations for divers with a diver’s license. 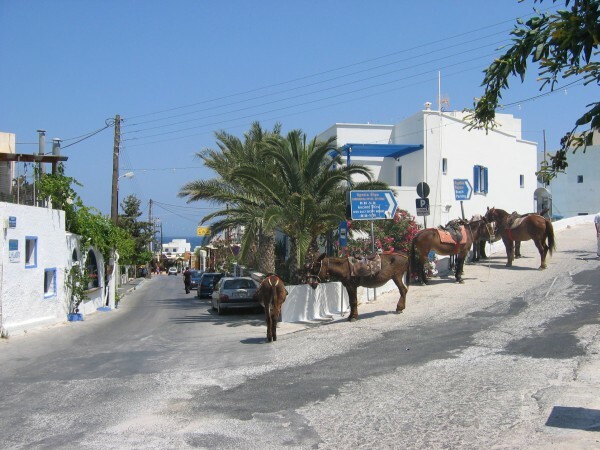 But excursions to Anafi, the small Cyclade island east of Santorini, are on the programme. 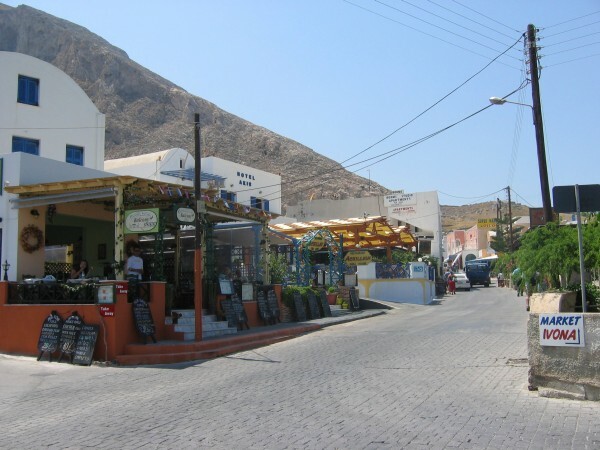 Wind forces up to 4 Beaufort make Santorini one of the most reliable Aegean surf resorts.